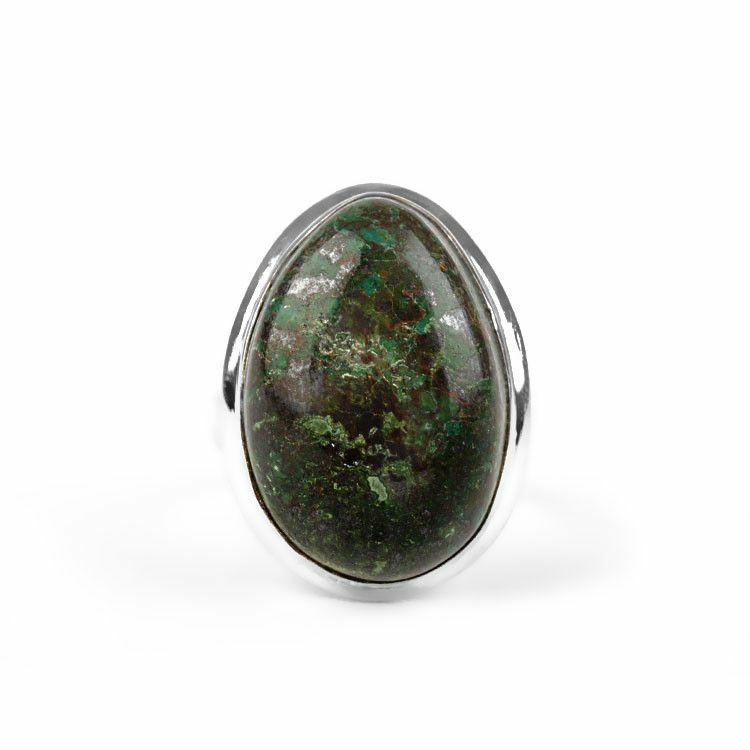 This dark green gemstone ring is big, bold, and beautiful. 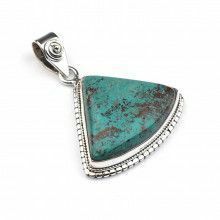 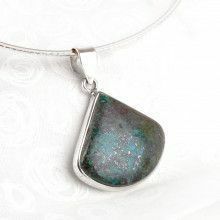 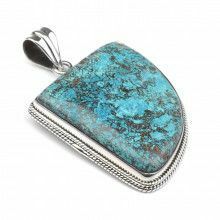 The sterling silver ring features a genuine Chrysocolla stone that is nearly 1" long, 5/8" wide, and over 1/4" thick. 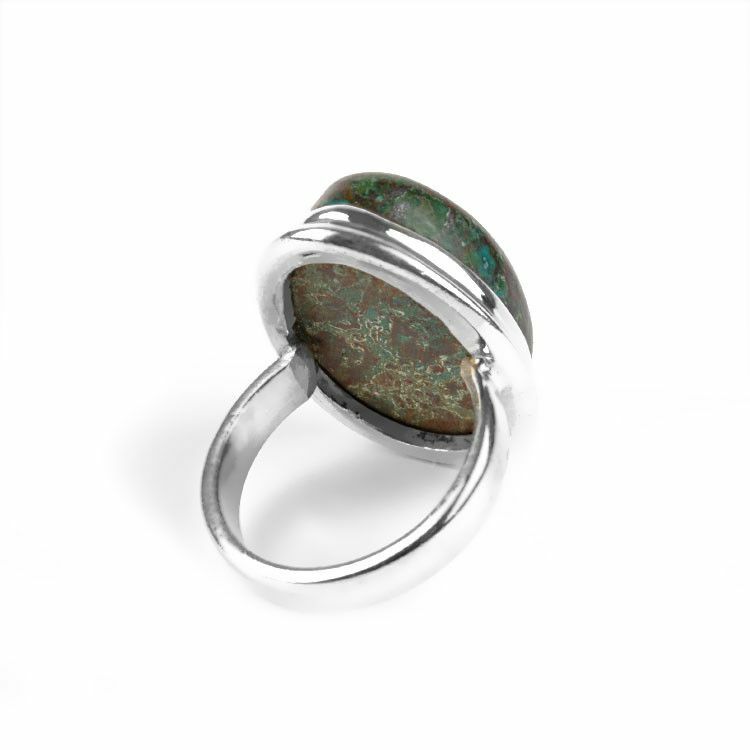 Hand-crafted ring for men or women.